Many people use supplements including vitamins to ease joint pain. But how effective are these supplements and what supplements work best for joint pain? Your personal trainer, doctor, or dietician may recommend supplements to you to help you ease your joint pain, but it’s nice to be in the know as to why and how the specific supplements they recommend work. In this article, we will focus on joint pain supplements to give you a clear picture of what this is all about. You need to understand the different supplements so that you will be able to identify which one is ideal to help you treat your pain. Why do Personal Trainers Recommend Joint Pain Supplements? Personal trainers recommend joint pain supplements to their clients for many reasons, especially older clients. For those with chronic pain or arthritis, joint pain supplements can help ease their pain and a trainer will often recommend some key supplements to their clients to help them out. If a client wakes up with their joints hurting in the morning, the same in the evening and even going to bed with chronic pain, they’re a great candidate for joint pain supplements. A competent personal trainer will recognize the signs and symptoms of bad joints and recommend beneficial supplements to their clients accordingly. Since the supplements are designed for pain reduction, competent trainers know which type of supplements they should recommend to the clients and why. There are various ways in which these supplements work to ease joint pain, some of which include tissue damage repair, pain reliever, inflammation reduction, and blood flow improvement. It is the best way to reduce joint pain. Joint pain and reduced mobility in the joints is caused by high abnormal inflammation. If you get an inflammation check in then, it decreases the rate of arthritis and also reduces pain. Some of the supplements are designed to work directly to reduce pain without affecting inflammation. Which is why some are designed to be anti-inflammatory thus reduces pain only. Any supplement that can safely, potentially, and reliably repairs joint tissue then, it is possible that it can cure joint pain. For now, Chronic Pain Scotland is found of providing a supplement that can work best for tissue damage as for now, all alternatives are understudied. Joint pain caused by blood flow occurs when you sit for too long and exacerbate the pain. Some supplements are designed mainly for blood flow improvement, not pain or inflammation reduction. But blood flow can also be managed by being active and walking for some period. With various varieties of joint supplements, we’re going to take a look at some of the major ones that personal trainers often suggest. 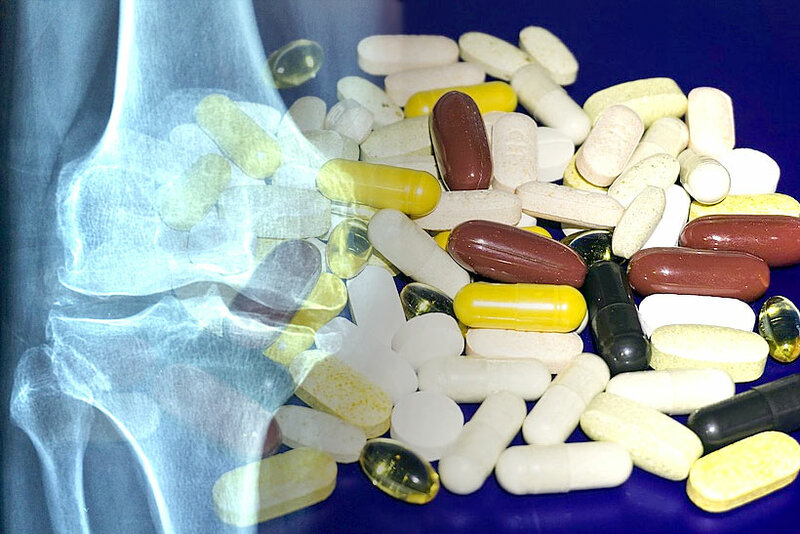 Glucosamine and Chondroitin are some of the most recommended supplements for joint pain but there are others you will want to consider, which we’ll be taking a look at here. Supplements aside, it is also advisable to utilize a regular exercise routine which can be helpful for knee pain and other forms of joint pain. Swimming is a great exercise for joint pain. Try other forms of low impact exercise such as biking as well for knee pain, but be sure to speak to your trainer for recommendations. Supplements being supplements, they will also require the help of a healthy diet to strengthen your bones and jump-start weight loss. No supplement is complete on its own because it is simply that, a supplement. Pair it with a healthy diet and you’ll be set for success. Studies have shown that glucosamine may help with osteoarthritis related pain, stiffness, swelling in the joints, and even improve function in people with knee or hip osteoarthritis. This supplement should definitely be part of your joint pain reduction regimen. Chondroitin sulfate is typically used for osteoarthritis and often used in combination with other ingredients or supplements like glucosamine. Studies have also shown that it is an effective pain reliever for joint pain. A critical substance in synovial fluid known as hyaluronic acid breaks down in people with osteoarthritis. This loss contributes to stiffness of the joints and pain. MSM treats a wide array of symptoms and conditions and happens to be a great natural way to relieve joint pain, reduce inflammation, and boost immunity. MSM should also be added to your joint pain supplement list. Fish oil offers benefits beyond easing joint pain, but fish oil when paired with joint pain supplements can work well for arthritis and other joint issues. EPA and DHA found in fish oil can reduce inflammation, which causes swelling and pain. The acids might also suppress the body’s immune system. Many trainers recommend supplements to their clients to help them ease joint pain. For the best results, take more than one of the recommended joint pain supplements on our list. For example, glucosamine and chondroitin are often sold together for this very reason. These supplements also rarely have adverse side effects and they are easier on the body than typical over-the-counter pain relievers. Many joint pain sufferers have even been able to wean themselves off Ibuprofen or other painkillers. That said, be sure to check with your doctor before beginning a supplement regimen just in case, especially if you are currently taking existing medications. If they give you the green light, give these five a try and let us know in the comments below how things went for you!